The Summer in coming, charter a sailing yacht and start dreaming yourself in amazing golfs and traditional Greek islands in. Join us! Easter 2016 is coming closer and closer, offering a great opportunity to escape away from stress and everyday routine. Throughout Greece, Easter is celebrated with glory and reverence. A new service from Dreamingreece.com is now available. 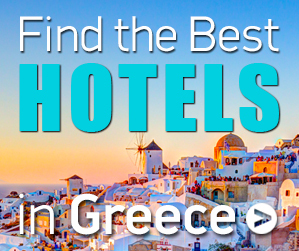 We help you find the Best Hotels on Discount in Greece for your Summer holidays. Travel Guide of Greece. DreamInGreece.com is a new travel platform created to enhance the promotion of Greece and to highlight it as a top tourist destination worldwide. Vacations in Greece. Holidays in the Greek islands. Unspoiled beaches in Greece. Activities such as Scuba Diving in Greece, Sea Kayaking in Greece, Yacht Charter in Greece, Camping in Greece and Trekking Hiking. Dream in Greece. Holidays in Greece. Activities in Greece. Visit Greece. Discover Greece. Explore Greece's beauties. Dream in Greece. Greek Travel Guide. Museums in Greece. Archaeological sites in Greece. Christmas holidays’ countdown has begun and whole Greece has already put forth its festive character; thousands of lights and ornaments, festive melodies, exquisite aromas and mind-blowing delicacies awaken the child hidden within us all! The Summer is now here and we all seek short breaks from everyday life’s stressful pace. Ideal choices for carefree summer nights are the café/bar/restaurants, which are "hidden" in buildings or luxury hotel terraces. We are just a breathe before the highly anticipated Holy Spirit Monday, which, every year, seems to signal the start of the summer season, offering the opportunity for refreshing escapes to the beautiful Greek beaches! Aegina island, Hydra island. Spetses island, Agistri island, Poros island, Nafplio, Halkidiki, Platamonas, Nafpaktos, Pylos, Pelion, Larissa, Lefkada island, Sivota, Parga, Kardamyli, Gythio, Movemvasia, Stoupa. Travel Guide of Greece. Dream in Greece. Holidays in Greece. A unique experience is the National Passage of Vouraikos, which is organized annually by the Kalavryta Association of Mountaineering - Skiing - Climbing and Environmental Protection in cooperation with the Helmos-Vouraikos Body Management.